In FIRST teams, sometimes the coach of a team can be an adult, and sometimes it can be a student. 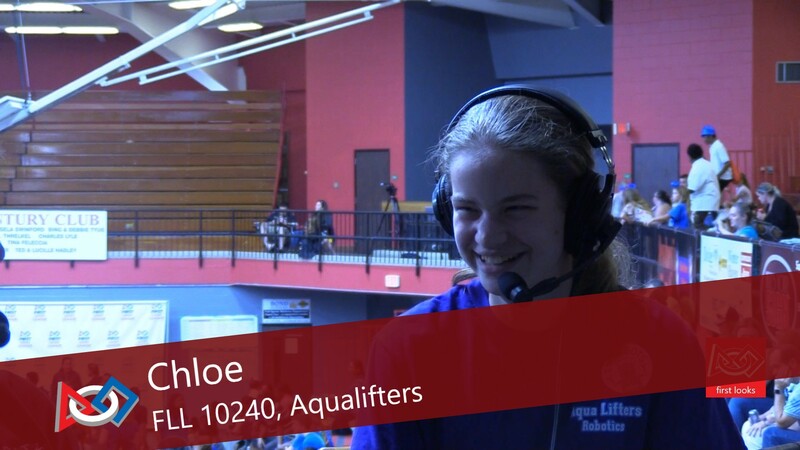 In the case of FIRST LEGO League 10240, Aqualifters, their coaching is done by student Chloe. This, of course, does not mean that the faculty of the school, where the team is based, is uninvolved, but they have given some of the responsibility to Chloe. For example, she ensures that her fellow teammates are following the team checklist and sometimes leads team discussions. As an 8th grader, it means that this will be her last year on the team. When she moves on to high school next year, she plans on joining one of their FIRST Tech Challenge two teams: Roarbots and Den in Black. For any student that has moved from FIRST LEGO League into FIRST Tech Challenge, there is always a bit of nervousness, but Chloe is looking forward to the new challenge. She hopes to learn both the physical and programming aspects of building a FIRST Tech Challenge robot. After high school, she hopes to get into an engineering field, driven by her participation in FIRST. In addition to finding a path for herself after school, she also enjoys the social aspect of FIRST. While she is excited about her next steps in the program, she will miss the students she has been on her current team with for the past 2 years.